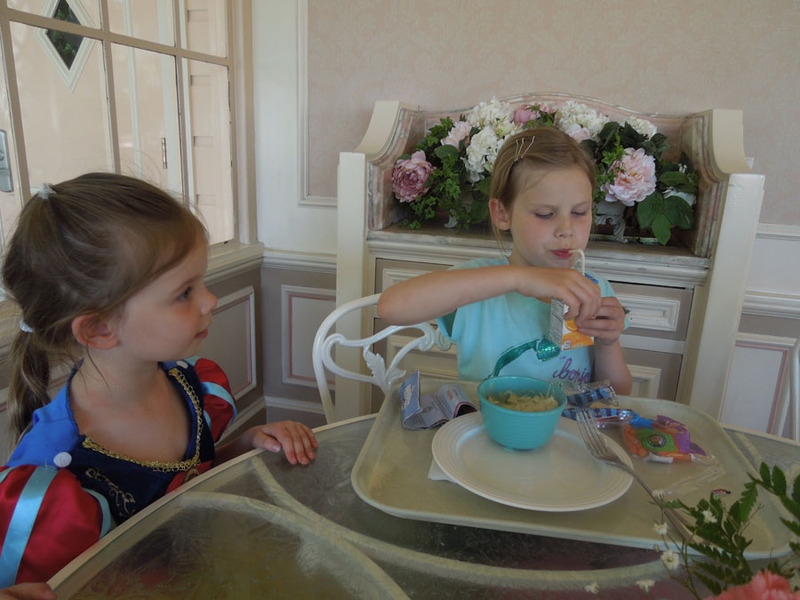 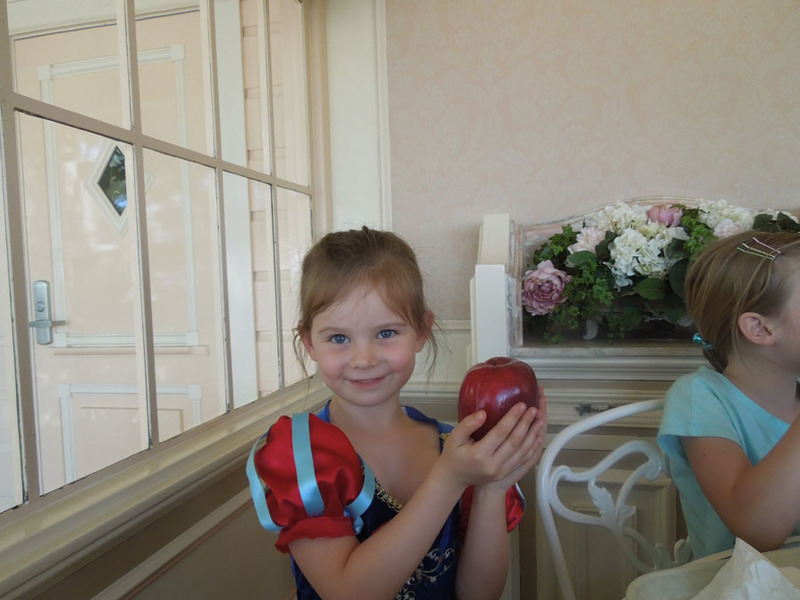 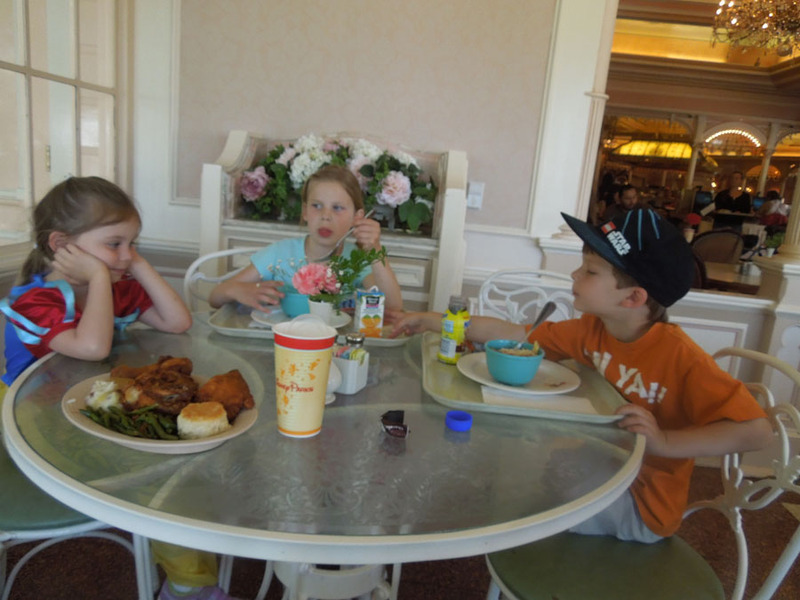 Plaza Inn is a larger Disneyland restaurant with a prized central location. 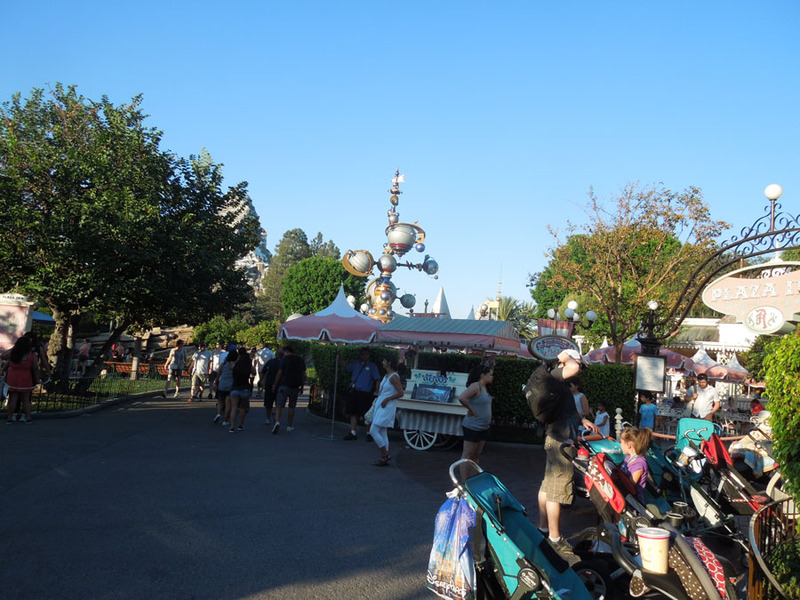 I spend a lot of time walking by this restaurant, moving between Main Street and Tomorrowland. 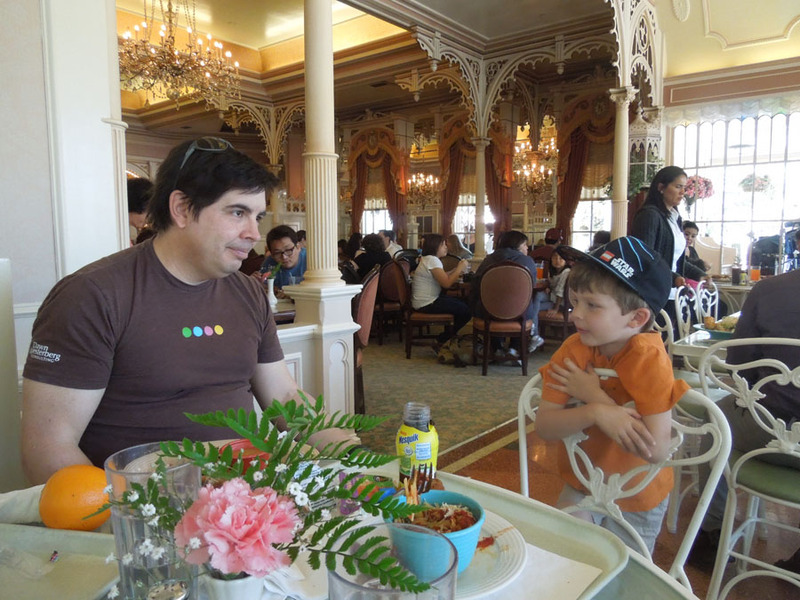 I believe there are eleven tables outside. 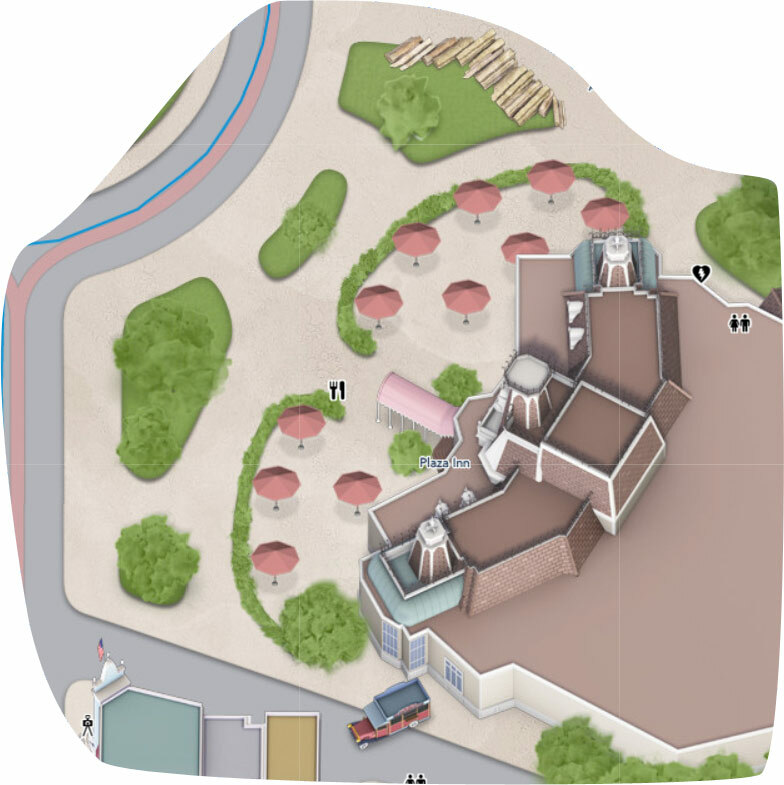 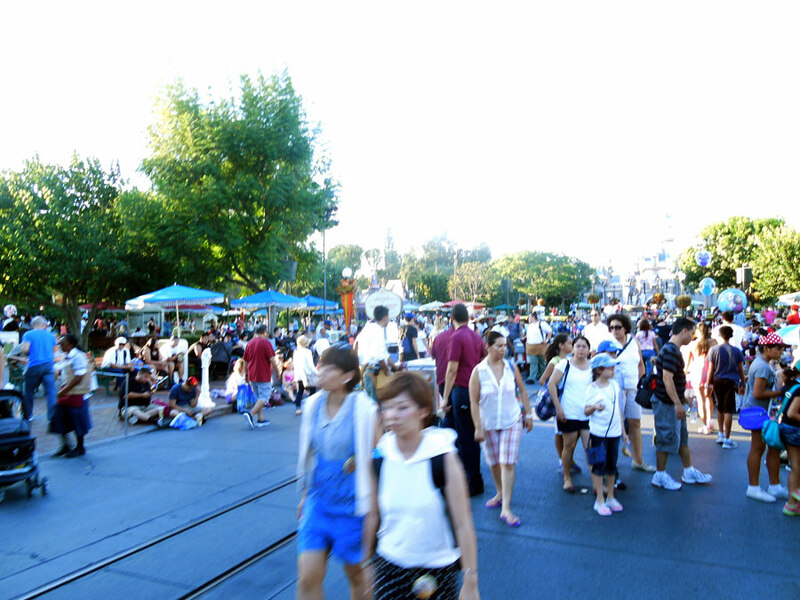 Plaza Inn used to be the place where you were most likely to encounter a costumed character. 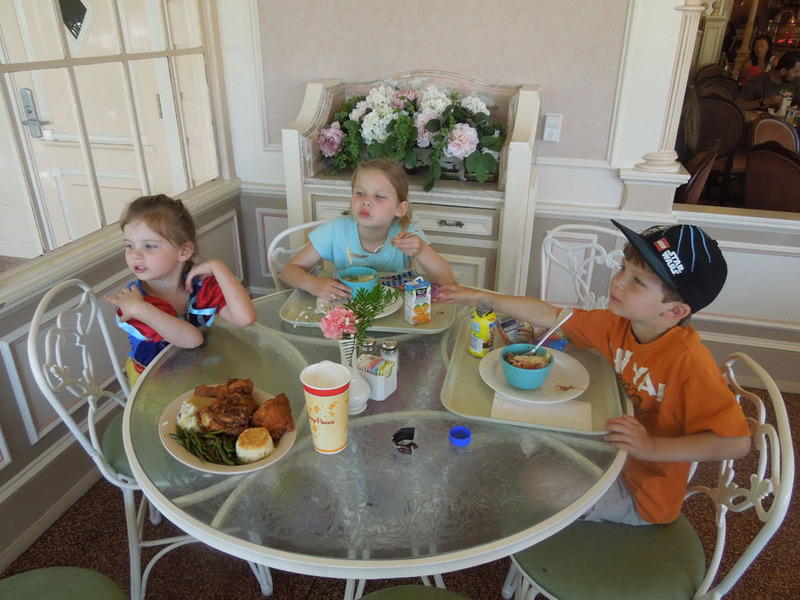 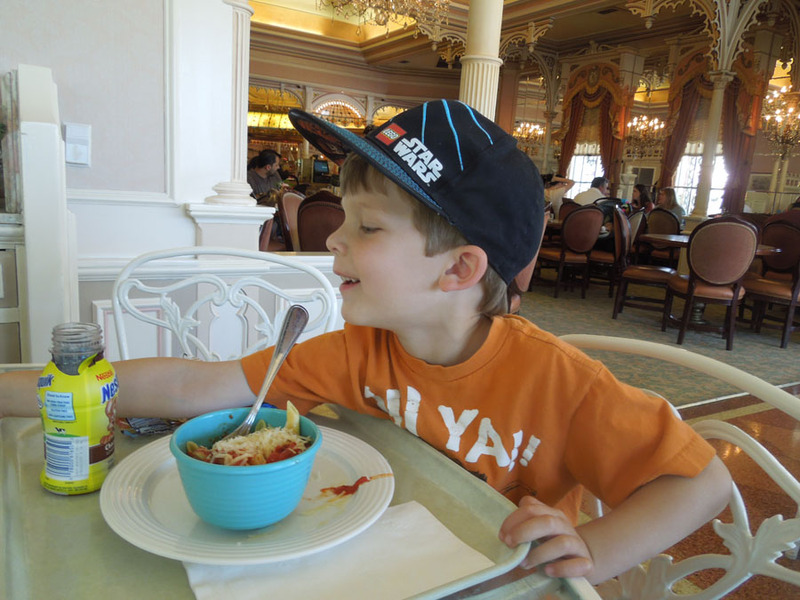 The Plaza Inn specializes in fried chicken, salads and pasta. 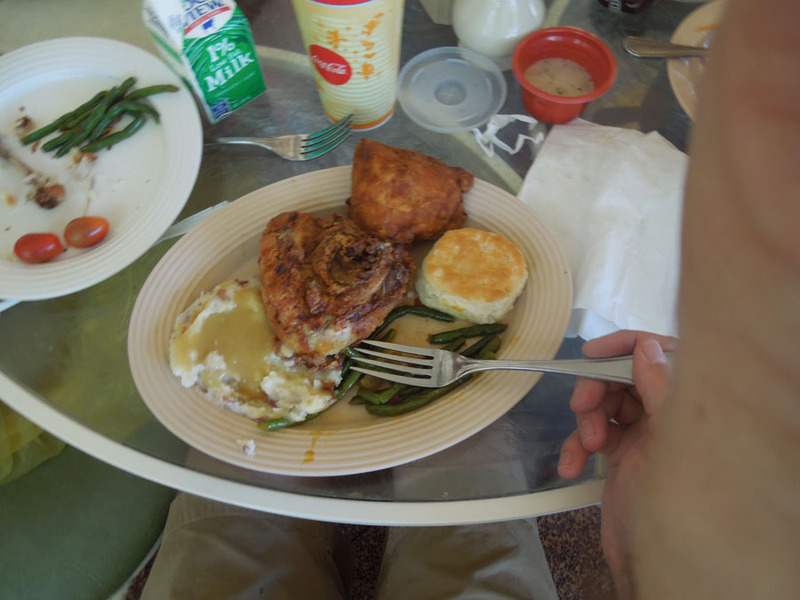 The adult meals include an insane amount of chicken. 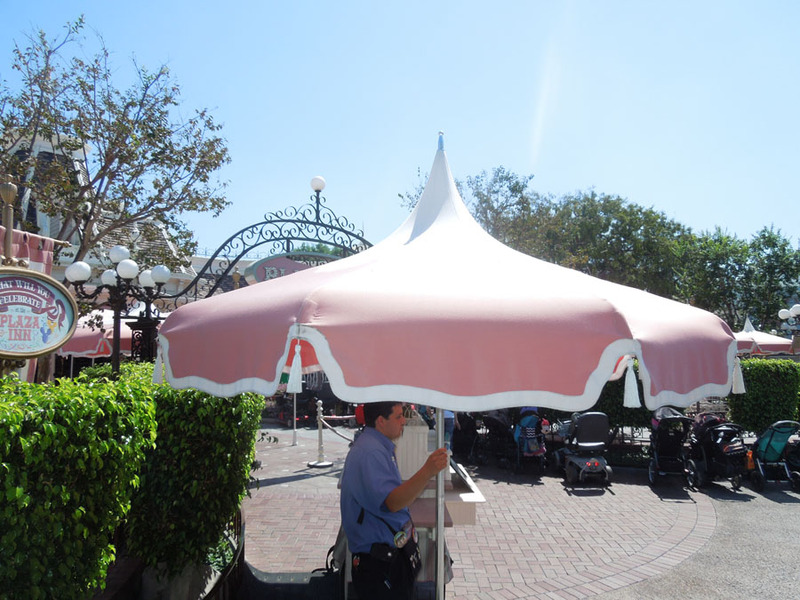 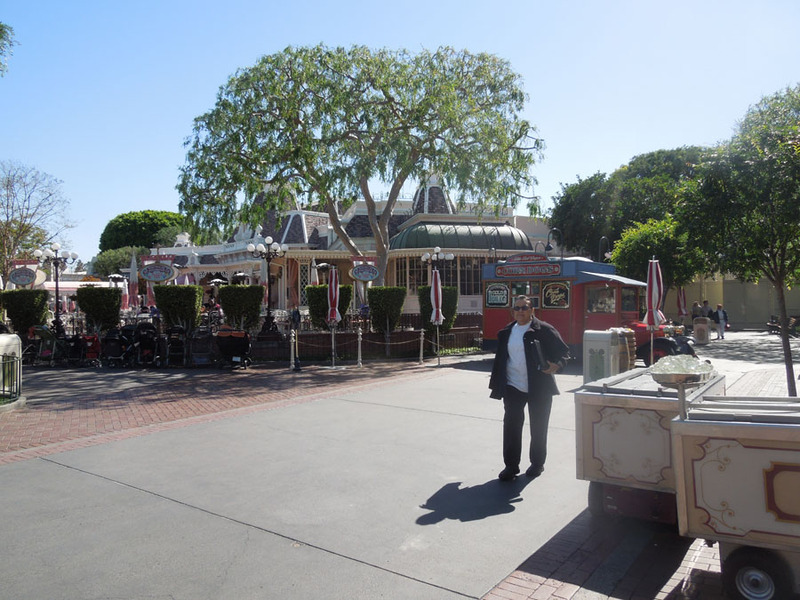 A Disneyland Timeshare representative at Plaza Inn stationed beneath an elaborate umbrella. 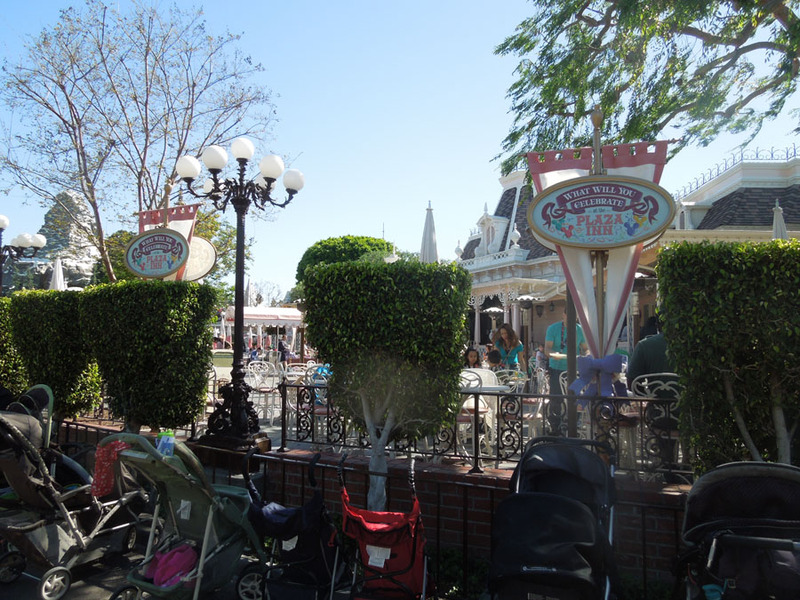 The view looking out from Plaza Inn. 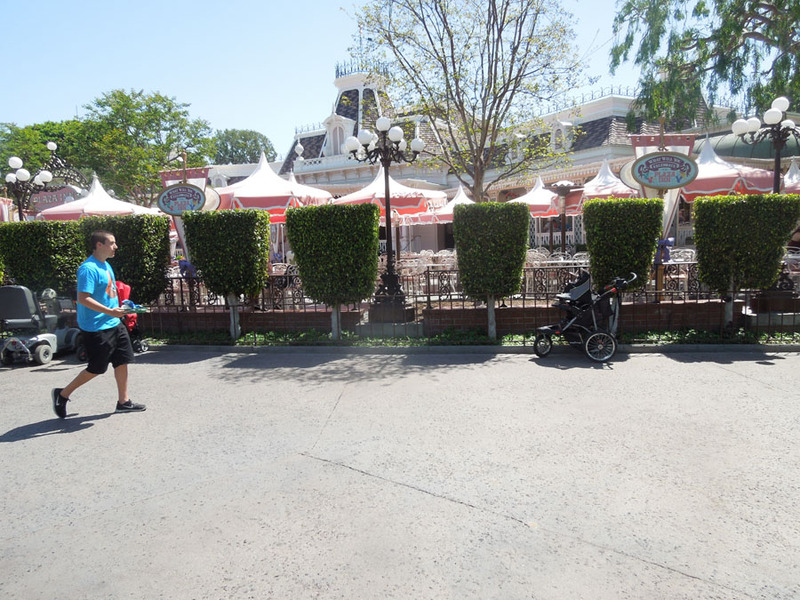 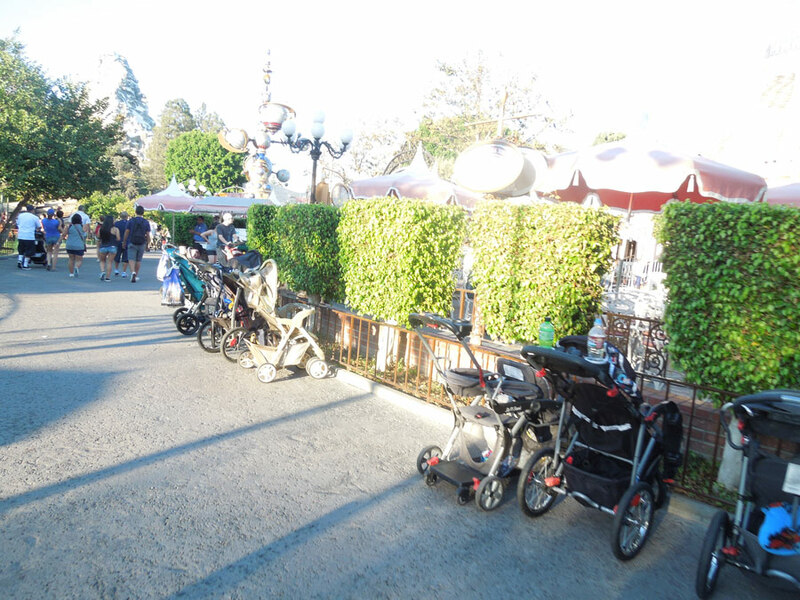 The uniform shrubbery before a million strollers show up.